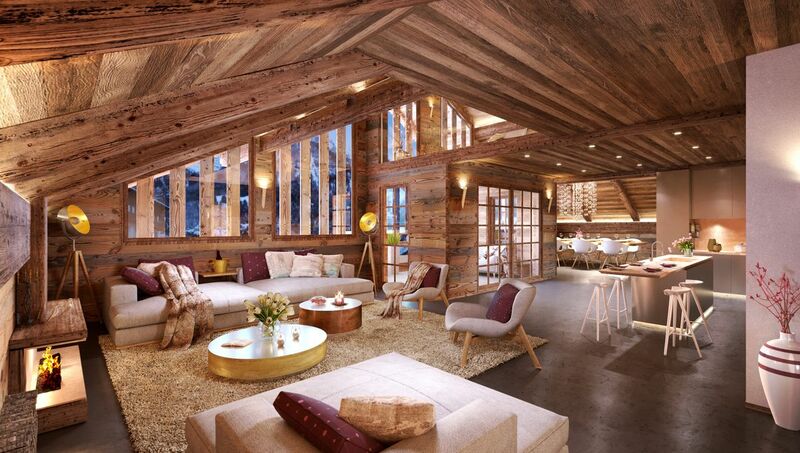 "Le 1902" is an old traditional chalet, which was built the same year and which has never been renovated. While some parts of the chalet were added more recently, these have not detracted from the general aspect. 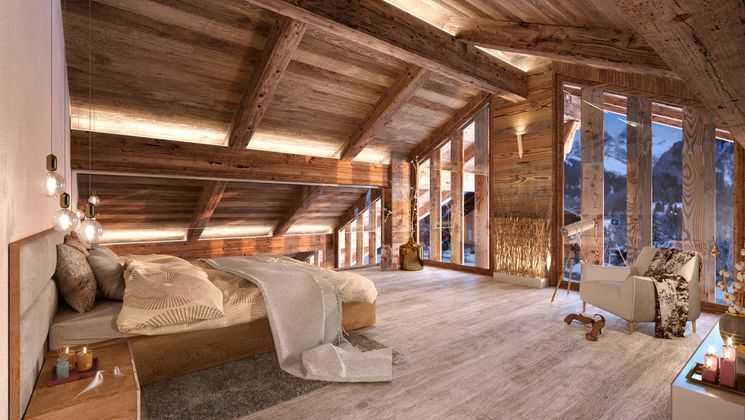 The chalet is exceptionnal as it is oriented towards the village of Champéry. On the south-east side, the chalet looks towards the Dents du Midi and the living rooms will, where possible, be on this side. The chalet is a listed building by the Historic Building Department. 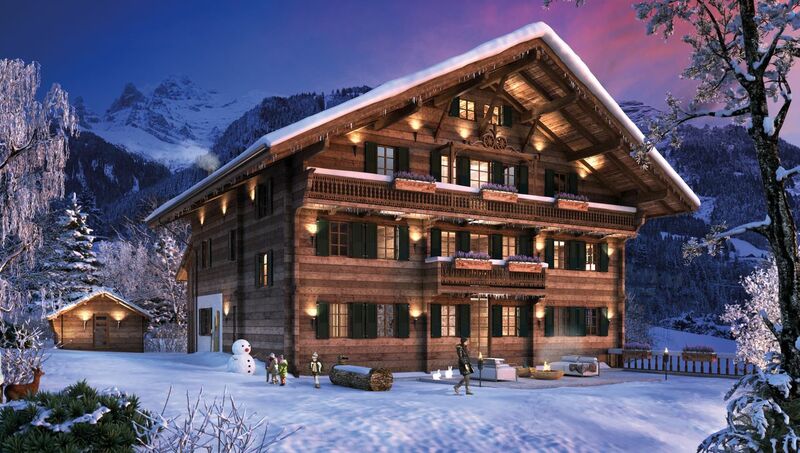 The facades of the chalet will be preserved as is; a few elements, which cannot be renovated, will be replaced with recuperated wood. The original size of the windows will be preserved. The roof will be rebuilt to comply with current regulations. 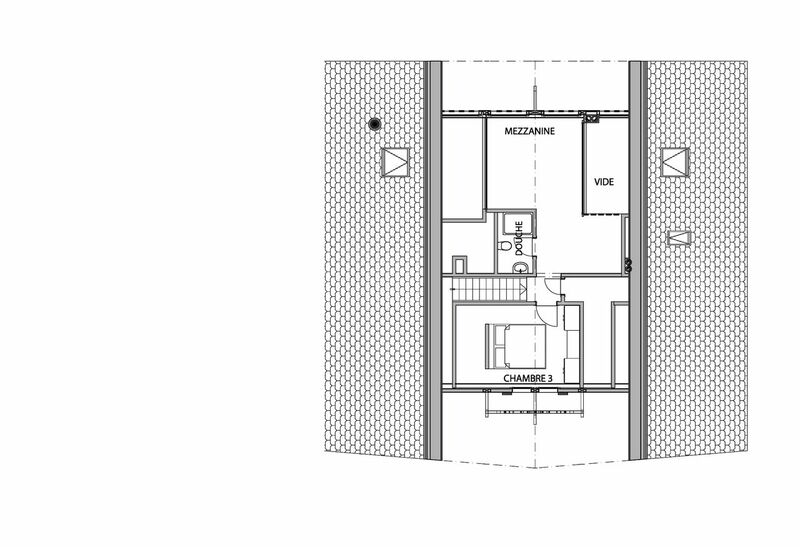 On the lower ground floor, the existing excavated volume will be renovated to preserve the original appearance. The main entrance of the building will be to the lower ground floor down where there will be an access to the upper ground floor, the technical room, the cellars. The other floors will be totally rebuilt with wood inside the existing volume. The balconies and other original featurs will be renovated; the balconies will rebuilt to comply with current regulations. The old stone fountain and the 1902 stone furnace will be renovated. The supporting structure of the roof will be made out of wood, insulated from the inside. The roof will be tiled with artificial dark grey slate. The gutters and ventilation will be in copper or titanium zinc. The renovation project respects the identity and the historical architecture. 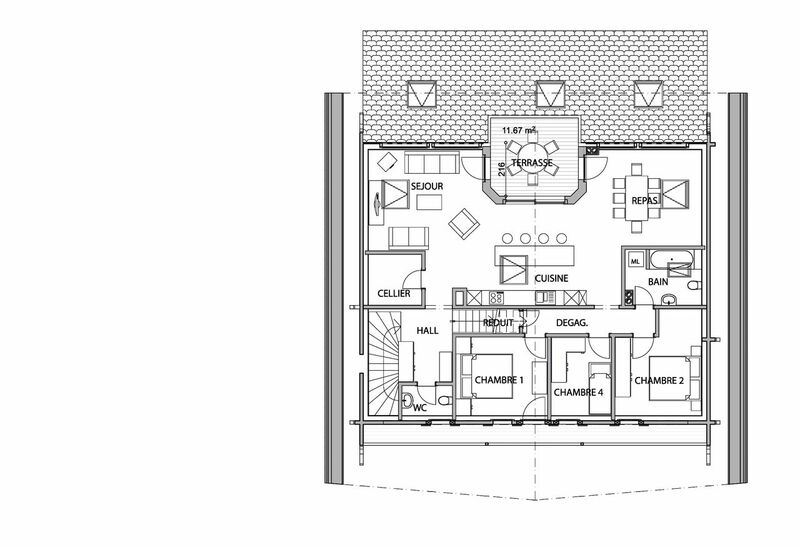 The renovation will comply with the standards for a protected building and the chalet divided into several apartments. Why this choice? Located only 90 minutes from Geneva, Champéry is a typically Swiss postcard due to its preserved architecture, its authenticity but above all due to its rich and green nature with mild seasons. The multi-century-old village nestled at the bottom of a valley is located on a plateau covered with meadows and leaning against wooded walls facing southeast. Champéry is located at 1050m, the ideal altitude, the air is pure and light and remarkably calm thanks to the belt of high peaks that surrounds it and protects it from the north winds or the breeze. Its climate known as Lombard is temperate and often swept by warm winds in summer, hence the existence of an exceptional flora with very rare species of Mediterranean type. Champéry lives all year round to the rhythm of the seasons and each of them has its own assets. One of the great privileges of the resort is undoubtedly its membership in the Portes du Soleil, an incredible ski without borders between Switzerland and France. 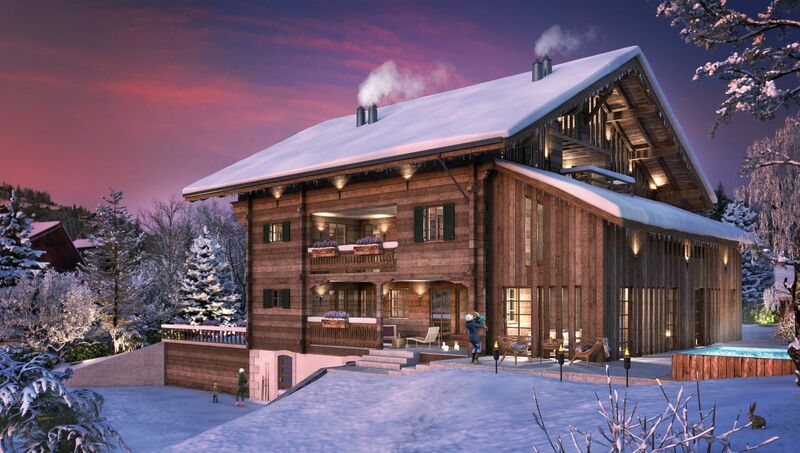 650 km of slopes, 200 ski lifts, 90 high-altitude restaurants will delight winter sports enthusiasts. Apart from skiing, Champéry can boast of having one of the only National Ice Center in Switzerland open to all except for the days reserved for international training and/or competitions that take place throughout the year. A magnificent street lined with traditional chalets stretches gracefully along the village, under the gaze of the Dents du Midi, the 7 spectacular peaks culminating at an altitude of more than 3000m. It has been reported that in addition to the incredible beauty of this mountain range, these massifs would release a powerful vital energy on the inhabitants of the valley. To the east of this chain, the presence of magma in the rocks causes the hot springs of the Val d'Illiez thermal spa located a few steps from Champéry to spring up. Champéry is the little Megève of Switzerland for its authenticity with the advantage of being optimally served 90 min from Geneva, 45 min from Lausanne - 45 min from Sion allowing many people to live in the fresh air while working in the city. The Commune has set up modern school infrastructures allowing families to enrol their children in children's and primary classes, the village being located in this valley bottom, safety is optimal. The Champérolains and Champérolaines are welcoming and friendly, come and join them in this beautiful setting. The village of Champéry is located in a beautiful valley along the French border near the eastern shore of Lake Geneva in French-speaking Switzerland. It is part of the Portes du Soleil, an area known worldwide for skiing, mountain biking and hiking. The A9 motorway is 20 minutes from Champéry. GENEVA (International Airport): 1h30 by car / ZURICH (International Airport): 2h30 by car / SION (International Airport): 55 min by car. SALE IN PRINCIPAL RESIDENCE FOR APARTMENTS: "Bambi, Le Chamois and Le Chevreuil"
SALE IN SECONDARY RESIDENCE AND TO FOREIGNERS ALLOWED FOR THE ATTIC "LE CERF"